To Strengthen Families and break the cycle of child abuse and neglect by providing education and support to both parents and children. That every child lives a life free from abuse. We are OPEN MINDED and OPTIMISTIC. We BELIEVE people can change. We believe that EVERY CHILD deserves to live a life free from abuse. We are a TEAM dedicated to fulfilling our MISSION. We EVOLVE fast. We take RISK and CONFRONT challenges that are RELEVANT. We are unified, respectful, and supportive to our team and the families we serve. 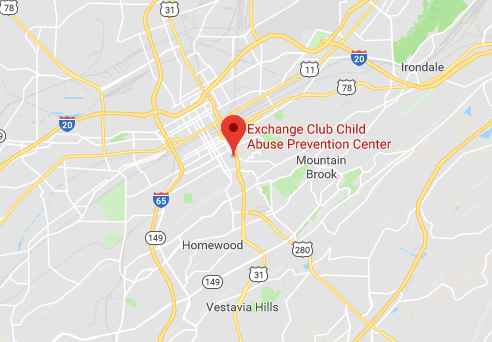 The Exchange Club CAP Center in Birmingham Alabama was formed through the dedication and commitment of Alabama members of the National Exchange Club in 1987. Today, 31 years later, the Center continues on our mission to strengthen families and break the cycle of child abuse and neglect. Our long time partnership with Big Saver Thrift Stores, owned and operated by fellow Exchangite, Mr. Steve Kitchens, as enabled us to evolve in many ways. The Center is supported by local Exchange Clubs including Shelby County, Birmingham, Montgomery, and Irondale. Our Board of Directors includes several members of Exchange. Ms. Brenda Walker as our Board President. Past-President, Mrs. Joyce Franklin, the late Kenneth Lundberg, Past-Treasurer, and John Schoen, former President. These dedicated Exchangite’s and other members of our Board are always willing to support the CAP Center with their time, energy, and gifts. We now offer seven (7) diverse programs designed to Educate, Motivate, Inspire, and Empower participants to strengthen families and break the cycle of child abuse and neglect. In 2016, we added our newest program to the Center. The Safe Kids School Outreach program is a school based program whose purpose is to prevent child abuse by educating and empowering children in Kindergarten – 6th grades. The goal of the program is to equip children with the skills they need to prevent or interrupt physical abuse, emotional abuse, sexual abuse, neglect, and bullying. We are very excited for the new addition allowing us to go straight to the source of whom we all want to protect; our children! We can empower children to know that they are not alone, and they have a right to Speak up and Be Safe. Since our launch in September 2016, we have already reached over 1,000 children in the classrooms! Our founding program still thrives today! The Parent Aide Program continues to serve both parents and children through free in-home education and support. Through the Parent Aide model, Parent Educators mentor and role model with parents and caregivers who need help in dealing with life’s daily challenges. The focus will be on parenting issues that are relevant to each unique family. The First Teacher Home Visitation Program is a free parent education and family support program utilizing the Parents as Teachers (PAT) curriculum. This program serves families from pregnancy until the child reaches the age of five, and provides developmental, hearing, and vision assessments. The program is designed to empower expecting parents and new parents as their child’s first and most important teacher; to enhance early brain development for children and help children be prepared for school readiness. Positive Parenting Groups are free on-going educational support groups. The groups meet five days a week at various locations around the city. Groups are open to all parents/caregivers of children 0-17, or expecting parents wanting to learn more about parenting and a positive way of discipline in order to build healthy relationships with their children. 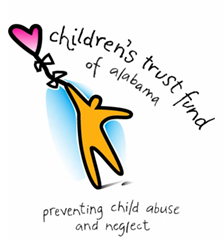 Our Speakers Bureau Program is a service that provides seminars and training to civic organizations, church’s youth groups, schools, daycare’s, social service agencies or other groups about various topics related to child abuse prevention, positive parenting skills and or basic living skills. Our Community Outreach Program thrives through both community involvement and social media campaigns. This program is designed to reach out to members of the community to bring awareness and support to the mission. We do this by serving with community partners, fairs, and outreach events.